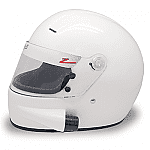 Zamp&#039;s modern-design helmets - Circle Track Supply, Inc.
Zamp's modern-design helmets feature a lightweight, thermoplastic resin shell for protection. Their multiple adjustable intake and exhaust vents, along with their moisture-absorbent interior, allow for supreme airflow to keep you at your coolest. The Zamp helmets' design offers a fully adjustable aerodynamic visor, cool clear coat graphics, and best of all, SA 2010 and DOT approval.